Modularity: Can be work with some armors, otherwise no. Protects against altering of the mind, or sensory functions through the force. All Seeing Eye: The mask was specifically created for the use of increasing the awareness of the wearer, visual sensory functions, and to see in other spectrums through the force. This can range from Infrared, Nightvision, Force Sight, and more. You cannot Hide: As a man who is called "Hunter" and as a hunter of all kinds of creatures, beings, and other such, Having superior sight is very helpful. However, there is a stipulation. The mask also aids in being able to physically see those who hide themselves in the force. This allows him to see or even catch a glimpse of those who are hiding themselves through the force. Aided Stealth: As with many artifacts that hide people, such as special cloaks, Taozoin nodules, or other like artifacts, it still prevents him from seeing them. At the absolute best he can see, is a "shadow" walking around, or much like seeing the "watery waves" that are caused by a cold front and a warm front that clash. Wisps of air that move around. Don't Fool Yourself: As the mask aids in the usage of seeing through the force and many aspects, this mask can defend the wearer from mental abilities such as Mind Trick, Summon fear, and Force Illusion. This allows him to be more aware of the situation around him without being tricked into the wrong, or deceived by those using the force against him. Too Many Senses: As with so many things going on to aid in the sensory functions of the mask, It is difficult when first wearing it to adjust to the changes. Massive headaches and even having your vision become splotchy for a time after taking it off. While over time this can be reduced, it can still create stress on the wearer while constantly wearing it and seeing in such an array of ways. Overload: Yes, fighting against a couple of illusions, or using it to negate the effects of a flashbang grenade can be done to some relative ease, it a mash up of abilities, or massive overhaul of one or more abilities can overload the wearer. This can debilitate the wearer from as something as a simple headache and difficulty with vision, or outright pain that can cause the wearer to pass out, have a seizure. Resistant, Not Proof: As a mask that can aid in the resistance of mind tricks, illusions, and other mental based powers, It is not a 100% block against all abilities. It prevents manipulation of the mind via Sensory feats. Summon fear literally summons the persons fear in physical form, and thus is visual. Illusion is a visual altering power, and thus it can be defended against. However, mental powers such as Mind wipe, Telepathy, or abilities that do not require a visual effect, cannot be defended against. 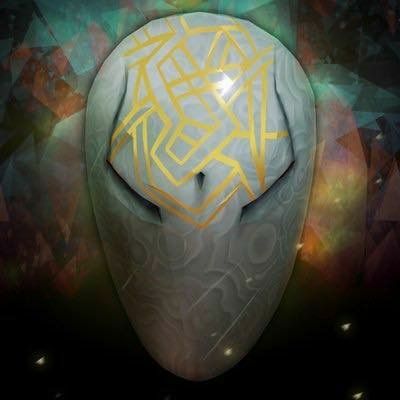 Masters of their Art: This mask aids in general protection of abilities that can affect Shaun. Masters of their respective arts such as Summon Fear, can still affect him quite well. This mask just aids in the fight against those powers to cause severe damage to him more so than affect him at all. All of these powers can still have influence over him and affect him. Its his job to fight and wade through them to overcome these powers himself. The mask is simply and aid. I Want You to Look Me in the Eye: The mask can be put on and taken off. Wearing the mask for long periods of time can overload the senses of the person, but taking the mask off can force the wearer to become "dumb" or otherwise lose all of the senses they just had. Wearing it for longer periods of time means the "hangover" is much stronger. A small one could just being more susceptible to bright lights, loud noises, and having a small headache. The larger hang overs can be overpowering ringing in the ears, Sickness, Dizziness, lost of some visual functions for some time, to just name a few. Lack of Use: When wearing the mask for long periods of time, The "standard sight" of what other near-humans may see at can and will most likely be thrown to the wayside as the more powerful forms of sight can provide better utilities, and be more useful than the normal sight comparable to humans. Because of this, the sight and eyes of the wearer can atrophy over longer periods of time. Requiring the wearer to wear this more often to compensate for a lack of standard sight. Don't Hit Me: The mask can protect the wearers face physically, but otherwise, this mask does nothing else in the way of being attacked by weapons, fists, or otherwise to protect the wearer. Force Nullification: As an artifact that relies heavily upon the force, any removing of the force via void stones or special lizards can remove the effects, as well as cause the wearer to go into a "hangover" even if they are still wearing the mask. Biased Views: The eyesight given to the mask was bestowed by a man who has long been a Dark Jedi, and traveled the universe doing some not so nice things. As a side effect, the wearer can gradually attribute these same feelings, desires, or perspective of topics of discussion/ideals over time. Considering that the potental to see past events within Darren Shaw's life are possible should the wearer seek them out, what cannot be controlled is what vision you may receive. This can range anything from living alone on Eshan, Fighting in the midst of battle, or being stuck in a torture device. Pain is in All Things: Should the wearer have a vision, any actions, feelings or desires that Darren felt in that scenario, the user will also feel during that time, and possibly for quite some time after. An example would be of Darren being in battle, and sustaining a wound, the wearer would feel pain from said wound, even if their body would not physically have a wound in the same place themselves. It has been years since I have ever set foot off of Eshan. My daughter has left me. Wandering the galaxy and left to her own devices. I have not seen her in years. Every day I wish I could go back. Hold onto her just for a few moments longer and to show her the galaxy. I wanted to do something for her. Make something for her so she could see the Galaxy as I did. A wonderfully terrifying place. One where all aspects of the force could be seen if one could focus on it. If one could find it. During this time, I have grown fond of a young man who worked for me. A young man who I see so much of myself in. Power is at his fingertips and his own journey has just began. His sight is only new to the various places of the galaxy. I wish I could do more for him as well. And so I shall. While this gift was once going to be for my daughter, I changed it to fit that of my student. Shaping a Kybur crystal over years of my retirement, molding it to fit over the face of a person. Forged purely of the crystals that I had formed together through the force. The Kybur crystals were well known to be resistant to heat and even withstand the explosion of a lightsaber. So, the formation of this mask could only be done by molding the various shards into one. Using the force to hold it together in every aspect, and use their collective sentience to form as one. To come together for one purpose. Allow Shaun to see in just about any aspect he chooses, and protect him against the harmful visions, and illusions that I had fallen for so long ago. White and swirling in its own watery way, I could only gaze into it longingly as I crafted it. I could see the shifting of the waves as I engraved the electrum into the forehead of the mask. How I coated it in Glassteel to give it some protection, and then all form it through the force. Imbuing it with everything I had. Giving it all I could. At the end of this, I could no longer feel the force within me. My vision faded from the bright colors I once had, and I could only see the dull life that many have been reduced too. My vision, my sight was now in the beholder of the mask. I gave everything for this mask. My last creation for my people. I, Darren Naban Shaw of the Echani people, have passed my sight to Shaun Irons. A man who will become so much more. Edited by Shaun Irons, 25 July 2018 - 01:28 AM. So, the premise is that someone put their enhanced senses into the mask so that someone else could benefit from them? Does it have residual memories or anything like that? It seems like imprinting that way might leave memories or sensations of the crafter. How does it protect against mental powers, though, if it's imbued with senses? I need to see more on that. Added one strength for the potential to see past visions/experiences that Darren may have had during his life up until the creation of the artifact. And also added two weaknesses of having feeling the same emotions or biased views of what Darren had over time, as well as feeling the pain from these visions as though it were a very lucid dream. I see the resistances of the mask much like a practitioner of the force. If an acolyte/Padawan was first learning how to use Force illusion, then they could only really defend against abilities of their own rank, while barely in rare cases staving off an attack from a Knight rank practitioner of the same art. The same goes for the mask. If the user is an apprentice, then they will likely only able to resist as much as they themselves can physically handle or endure. Where as a Master who used this same mask could be able to resist much more due to them being more experienced in the art. Another example I can come up with would be physical training. When working out, you change the weights that you use, or you change up the intensity of the specific action because your body slowly becomes more resistant to the same amount of "Stress" or physical exertion on the body. As such, in this case, using the mask more often would in turn, allow you to withstand more, but only as much as you are able to handle. I will say this growing of resistance and usage is not infinite. A One on one mental battle between a Knight and another Knight would be fairly even in theory. While a Knight wearing the mask against a Master, or two individuals of the Knight rank would be much more hard pressed because their body is not able to withstand the sudden change of stress to the body. With those changes, this looks fine to me.